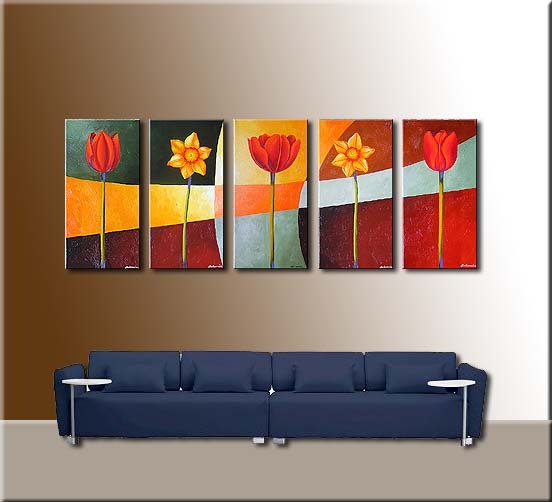 decorative oil painting - 5 Pcs as a Set, oil paintings on canvas. All our oil paintings are 100% hand painted by talented artists using high quality oil-paints and only the best quality linen canvas. Our artists can offer service for oil portrait and statuary. We can turn any photo to art, including oil paintings, figurine, pencil sketch, pastel paintings, color pencil, Charcoal drawings and so on. 1. Why are your oil paintings cheap but in good quality? First, we want to promote our product; secondly, our offer is based on reasonable profit, not on wild speculations. 2. How long does it usually take to deliver the paintings? We'll make the shipment to you immediately if your order is in stock; if your order is out of stock, we will try our best to custom paint for you. Single painting will be ready for shipment in 7-10days and bulk order will be ready for shipment in 15days when we receive your full payment. We will mail you the paintings once we get your confirmation to make the shipment by express, it will take 3-5 days. 3. Can you offer any size of painting? Our objective is to meet requirements of customer. 4. What kind of terms of payment? There are many choices. For example, you can pay it on line by paypal or any other methods. 5. How do you make the shipment? Your paintings will be sent through DHL/UPS/EMS if the order volume is less than 1 cube meter; for 1 cube meter or above we'd suggest you to make ocean shipment. Shipment can be also made as per your desire. All rights reserved. Copyright © 1998-2018.